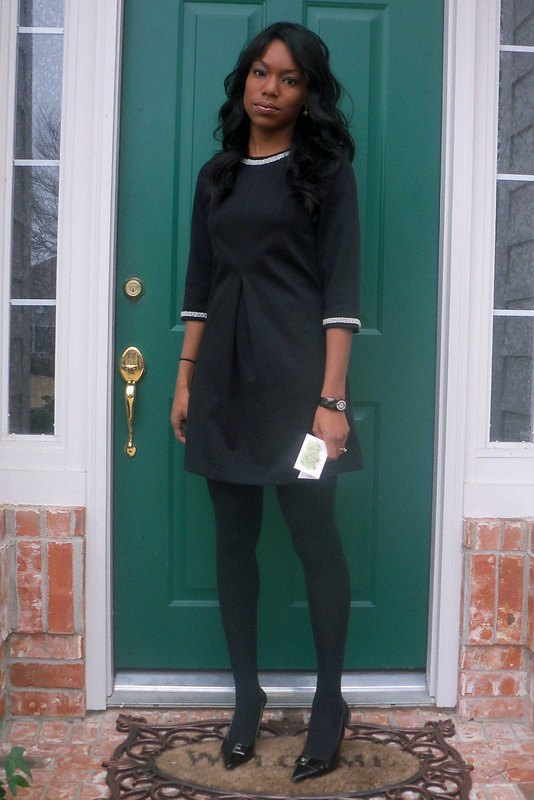 This morning/afternoon, I attended the funeral of Aleen. 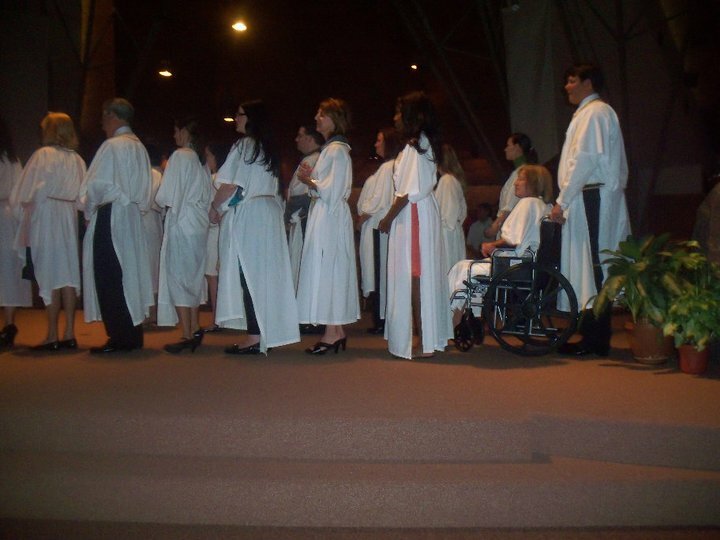 Aleen and I spent the greater part of 2009 as catechumens preparing to be fully initiated into the Catholic faith. I am unsure whether or not I intended this to a “funeral dress” when I bought it but that seems to be the only time I wear it (or loan it to my sister to wear). Sometimes clothing tells stories and I wonder what this dress would say….I tend to experience a plethora of emotions while wearing it. I love handwritten notes and I’ve found myself reading this one over and over and over. 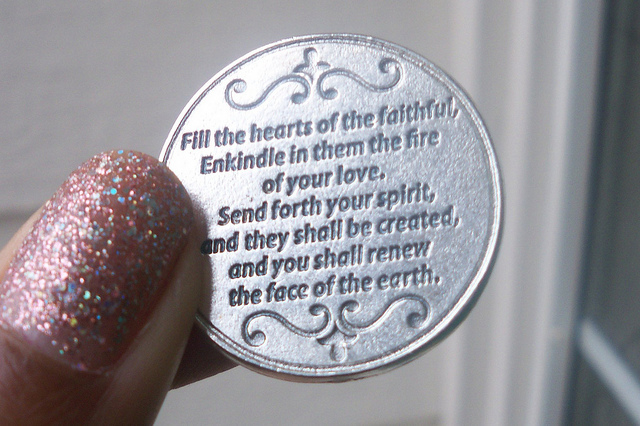 She gave me a few spiritual trinkets and this one is my “worry coin”. I hold it and rub it and it magically absorbs my concerns. I held onto it from the time I got dressed until it was time to take communion at mass. Aleen had a weak body but a very very strong spirit. Initiation on All Saints Day – Aleen is behind me. I will miss her and I feel so grateful for our time together. She was and will continue to be a light in my life and spiritual journey. 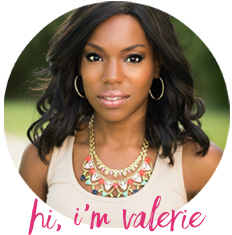 Awww, Valerie. Very touching! I promise you, she is smiling at this. So sorry about your friend. It’s great to have those special people in our life. 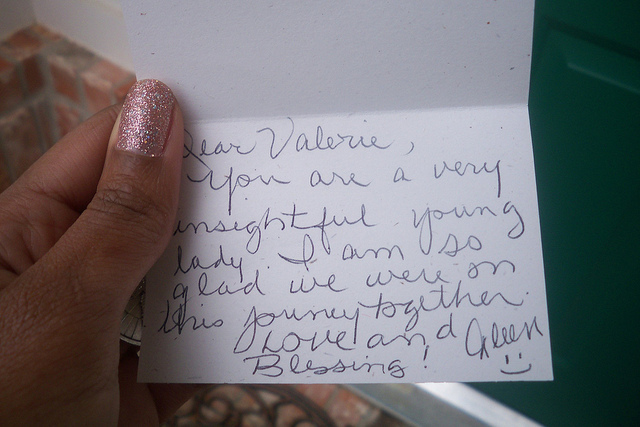 She was right in her note….and you are STILL on a journey together. Someday you will meet again! Yay!